Beware of land fraud and scam. 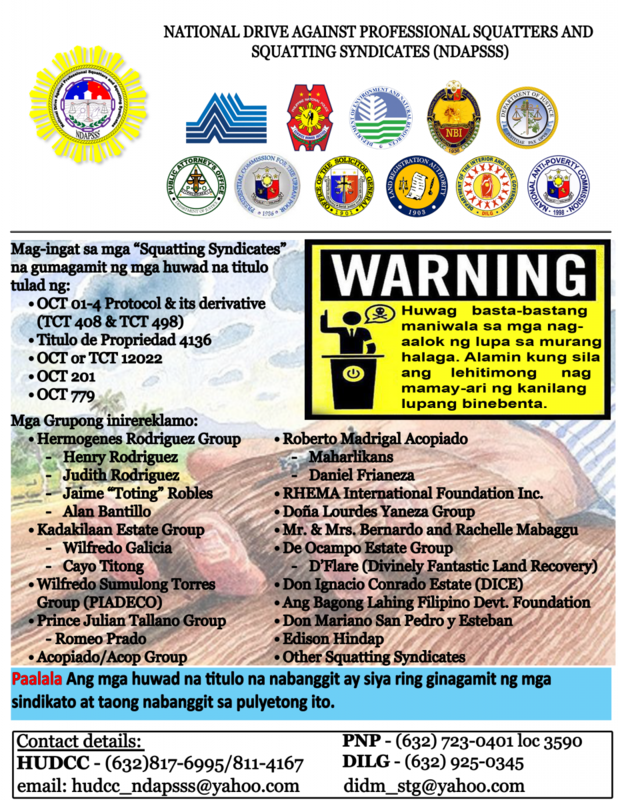 Per the Philippine Government, do not buy any land from people who are part of the Squatting Syndicates/ Land Grabbers. Some of them claiming the whole Philippines while others are claiming millions of square meters and provinces.